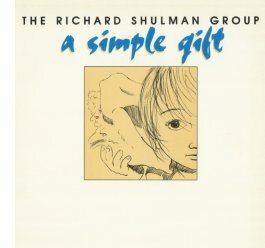 A Simple Gift was the first NYC album with my Jazz Group and includes two pieces featuring a jazz mini-choir. It was recorded in 1984 with these great musicians, Tim Moran & Lenny Pickett - saxes, Dean Johnson - bass and Bobby Previte - drums, and I marvel at this music even today! 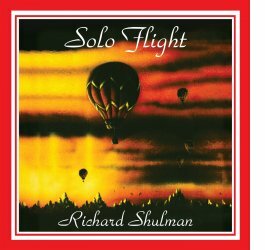 Solo Flight is a solo piano outing of many of my favorite original jazz pieces including "Flight" "Sunset" and "Gratitude," recorded in 1985 in NYC. Click on the Album Covers for more info and to find the links to hear each album. World Peace was my first extemporaneous album and was dedicated to World Peace and recorded on the 40th anniversary of the Hiroshima bombing, Aug. 5th & 6th 1985. All three of these albums were out-of-print in their original cassette and/or LP versions. It was an adventure to transfer the music from the original masters and to remaster them so they sound great! Thanks to Stephen Smith at Soundsmiths mastering and to Video Masters! PLEASE NOTE: There was a mistake in Lex 18's advertising saying I would be playing there on the 16th.... I will be at Isis with Russ that evening! Sat. Jan. 17th, 3:00 pm Waynesville NC Public Library, concert for the Haywood County Arts Council. 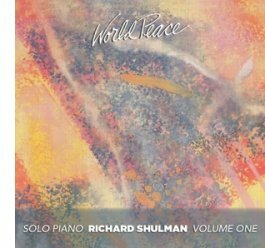 Richard Shulman - solo piano, admission free. Thank you for your support of this music!